Hawaii’s false alarm about an incoming ballistic missile. Israel’s downing of an Iranian drone, and the subsequent Syrian downing of an Israeli jet. The U.S, bombing of Russian fighters in Syria. All happened in 2018, and any could have relatively swiftly sparked a major new confrontation. An insistent alarm is being raised over the rising probability the world will trip into its next major conflict rather than deliberately march into it. Miscalculations, accidents, or plain old human error — they’re an inevitable consequence of human interaction on the global stage and there are often channels to deal with them to prevent escalation. But set against the backdrop of rising global instability and the growing complexity of ongoing, more layered conflicts, experts believe accidents and missteps are more likely — and that they are far more dangerous than they might have been in the past. Take the risk of nuclear war. It has “never been higher since the Cuban missile crisis,” Ernest Moniz, former U.S. secretary of energy and now head of the Nuclear Threat Initiative, said during this weekend’s Munich Security Conference. While not exactly predicting imminent nuclear war, Moniz says fraying relations and waning communication between Russia and the U.S. are prime reasons why these are risky times on the nuclear front. In its list of top risks for 2018, the Eurasia Group rates accidents as second only to China’s growing international influence. 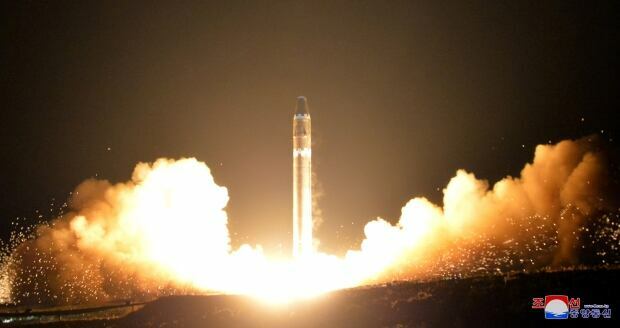 One of those places, of course, North Korea, in a region where military exercises on both sides of the Korean divide are the norm, as are missile and nuclear tests. 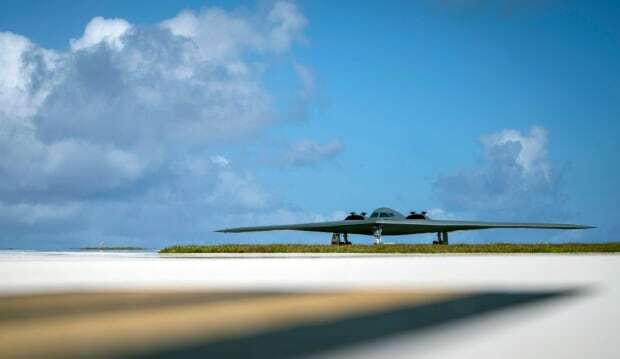 This past fall, at the height of a war of words between Washington and Pyongyang, two American Air force B-1B bombers flew over the peninsula. Inevitably accidents are also likely to emerge in existing battlegrounds with multiple players who complicate the picture. One of those places is in cyberspace. “We know that we are finding malware in American critical infrastructure,” Ian Bremmer, president of global risk consultancy Eurasia group, told CBC. It is conceivable that a cyberattack — or something that looks like one — could ultimately cause huge economic damage, and spark a reaction, or an overreaction — an all-out war — and even claim lives. But it is still the possibility that battles on the ground, like Syria’s, could inadvertently beget new confrontations that keeps many people up at night. The risk of blunders is “definitely elevated because there are a number of governments acting in Syria and they could get into each other accidentally,” says Karin Von Hippel, director of the Royal United Services Institute, an independent British think-tank that focuses on security and defence. Currently engaged in close quarters in and around Syria’s civil war, a messy cocktail of opposing forces: Russia, U.S., Turkey, Iran, Israel, Hezbollah, Saudi Arabia, Syrian forces and other non-state actors. And the backdrop on the world stage is discouraging, or at least unhelpful. It’s how a missile lobbed from Yemen into Riyadh last year became a regional conflagration that threatened to erupt into all-out war. 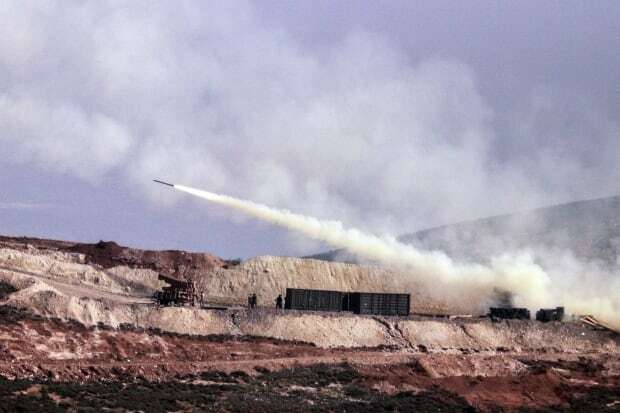 It ultimately pulled in Saudi Arabia, Iran, Lebanon, and Hezbollah, the militant, Iranian-backed military and political group accused of being behind the attack. In the background is the heightened tension between Sunni Muslim Saudi Arabia and Shia Muslim Iran. It is a reference to, among others things, both the U.S.’s retreat on the world stage from its usual stabilizing role — and President Donald Trump’s own destabilizing influence. “We have to recognize that this is the least capable person who has been elected president in the modern era. And that creates dangers,” says Bremmer. Case in point was the unprecedented rhetoric between Trump and North Korea’s Kim Jong-un this past fall, says Moniz. “With Russia … the main thing is lack of communication. With North Korea, it may be too much communication of a certain tenor. In a video on the risks in 2018, Bremmer says there hasn’t been a major geopolitical accident since the Cuban missile crisis.